Let us help you implement it. PBG Consulting helps clients solve business problems and build for the future, with financial planning, business advisory, technology, and analytics. We are a leading small business provider specializing in a broad array of Program Management, Operations, and Information Technology (IT) services to federal, state, local, commercial, and nonprofit organizations. Our expertise delivering innovative solutions to unique challenges spans across the private, public, and nonprofit sectors. PBG draws upon its deep expertise, in-depth knowledge, and industry-best practices in the areas of IT, Operations, and Project, Program, and Portfolio Management to develop scalable solutions for managing complex issues. We have over 30 years of extensive combined experience and a consistent track record in delivering best-value management and technology solutions to our clients. PBG staff supported HHS, Office of the Chief Information Officer, Office of Enterprise Application Development (OEAD) in the successful implementation of an enterprise Program Management Office (PMO) ensuring that the OEAD portfolio of projects are managed in accordance with approved governance processes and procedures and proceed based on approved program/project management plans aligned with OEAD's organizational objectives. PBG staff assist the Department of State, Bureau of Consular Affairs, Office of Consular Systems and Technology (CA/CST) in the areas of strategic planning, portfolio management, budget formulation & execution, Capital Planning and Investment Control in accordance with OMB and GAO regulations, project integration, integrated master scheduling (IMS) and Microsoft Project Server implementation and training in support of CA's mission-critical IT systems. 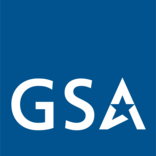 PBG staff provided software engineering and enterprise data management and reporting for GSA Public Building Service (PBS) in alignment with PBS’s mission to provide a superior workplace and value for the Federal Worker and American Tax payer dollar. We provided full lifecycle support from Solution Architecture to Deployment including Operations and Maintenance for their mission critical systems that support their real estate portfolio. At PBG Consulting, we pride ourselves on our integrity, commitment, passion, and reliability, and nothing speaks better to it than the recognition of our team by those we serve. We are immensely proud of the PBG team members whose hard work and dedication have been acknowledged and appreciated by our client at the U.S. Department of State/Bureau of Consular Affairs. We appreciate all that you do for PBG and are humbled to have you on our team! PBG was recently awarded two contracts to provide PMO, Budget and Capital Planning and Investment Control (CPIC) Services to Consular Systems Technology Office at the Bureau of Consular Affairs. PBG Consulting LLC is very active in the community outreach and understands that many community-based organizations do not have the capacity or the resources to meet the actual needs of our population that perhaps requires food assistance. We teamed up recently with Share of Mclean to establish a quarterly food drive based on the center’s needs for their pantry as well as other items such as clothing, linens, furniture, and computers.